Da Lat Hotel, Da Lat Hotel reservation system. 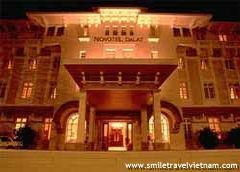 Famous for French architecture styleThe Novotel Da Lat Hotel is famous for French architecture style, modern facilities and high standard services. 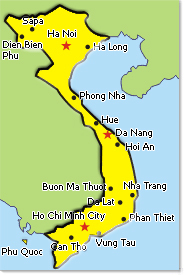 To April 2011, Da Lat - the city of vacation destination had had 107 accommodations with a total of 3.584 standard rooms. 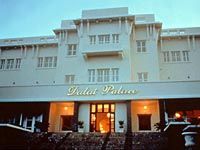 In addtion, 13 hotels with 1.106 rooms warrant 5 star rating. According to the leaders of the city, the number of accommodations decreased from 699 into 633 between 2007 and 2011. It is because of the fact that some small-scale units themselves has not had enough condition to change into another types of business. However, such decline in the number of accmmodation units totally goes in lines with the intention of improving the city's tourism quality. In another words, the small-scale hotels with low quality of service could not compete with the large-scale ones and were closed. Apart from rejecting the ones in bad condition, Da Lat has constantly launched alot of programs with the aim of improving the quality of standard accommodations as well as meeting the higher and higher demand of tourists. In particular, 600 business units have applied for the programs in bettering their facilities and service quality for the last five years (2006 - 2011). As a matter of fact, the number of hotels warranting star rating has constantly increased. In 2007, only 63 hotels have reached for star rating. Noticably, 85 out of 641 warranted the star rating in two years later and this amount increased up to 107/633 in 2011. As expected, Da Lat will be visited by about 3.5 millions tourists, 15-17% out of which are foreign tourists and the length of stay is on average of 2.5-2.7 days per 1 person.